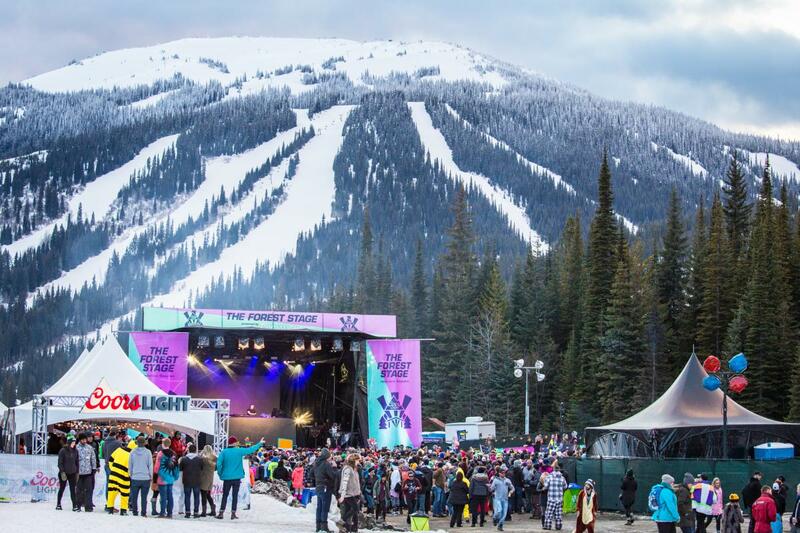 Coors Light Snowbombing Canada is Europe’s premier mountain music festival and set to return to its only North American destination, Sun Peaks Resort, from April 5-9. 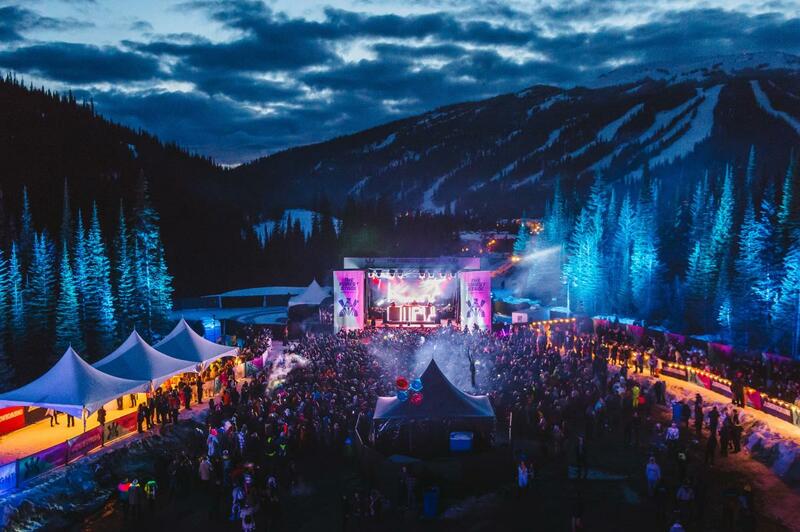 Over 50 musical acts will be spread throughout the resort from on-mountain concerts during the day to an underground parking lot at night. Odesza, NGHTMRE and Daniel Caesar, have been announced as the major headliners. Odesza, an electronic duo from Seattle, is sure to be a crowd pleaser with their smooth, R&B like tunes mixed with softer bass dropping beats. Two-time Grammy nominee, Daniel Caesar, has a very soul drenched Marvin Gaye-like sound. Other musical acts to watch include Felix Cartal with his musical rendition of the popular 90s song, “Get What You Give” and a band whose name speaks for itself, The Funk Hunters. While the primary genre of the festival is geared towards electronic dance music, the line up has a bit of flavour to please the musical tastes of everyone. Daily lineup schedule can be found here. With a current alpine base of 200+ cm, spring skiing conditions are fantastic. 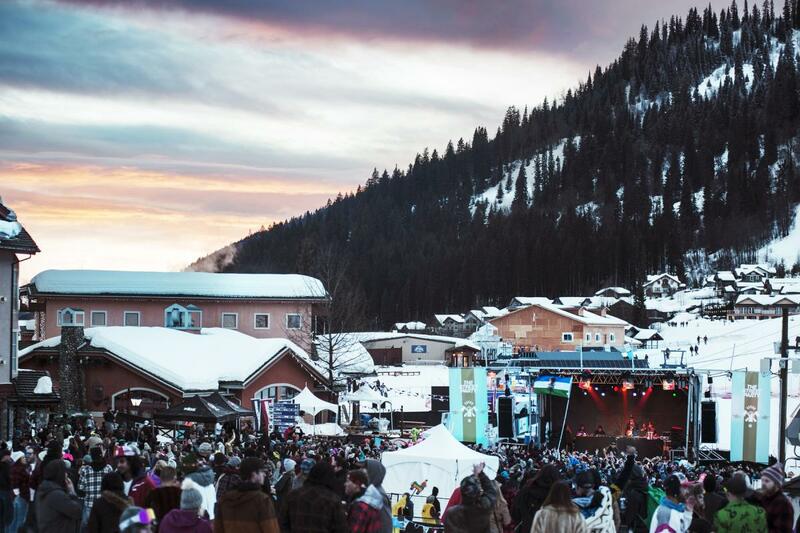 Shred all day on the mountain, work on your goggle tan, and enjoy music right into the evening. Take the Sunburst chair to the Sundance Terrace for a mountain-top daytime dance-spot. 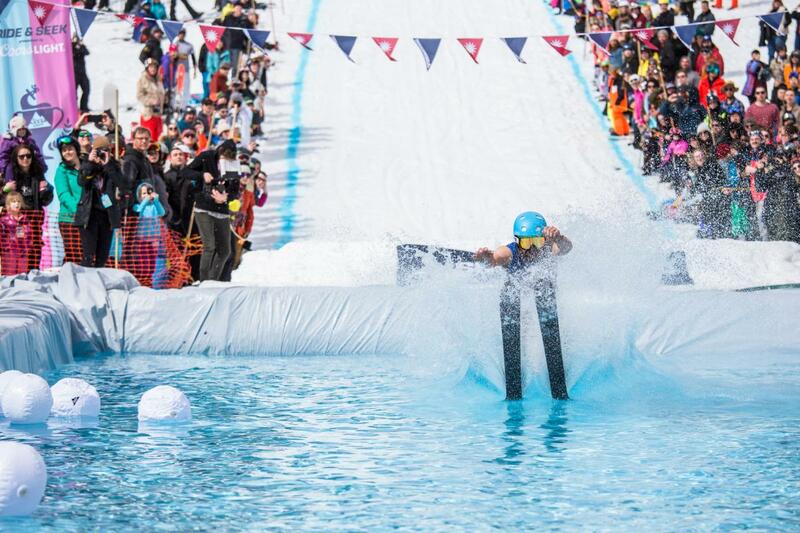 Get in on the sports action with the Snolympics, where Snowbombers will go head to head in an unholy battle of fun, flips and guaranteed multiple fails. Race down the mountain launching a kicker to attempt to ski over the ice-cold waters in the popular Slush Cup event. For those looking for love, find your potential life partner by participating in Chairlift Speed Dating. Accommodation and wristband packages start at $549 for 4 nights and give you full venue access. Looking for access to just the venues? Weekend festival passes start at $279, single day wristbands start at $90 (note these prices do not include booking fees), and the Sunset Carnival is a free event on Friday evening. 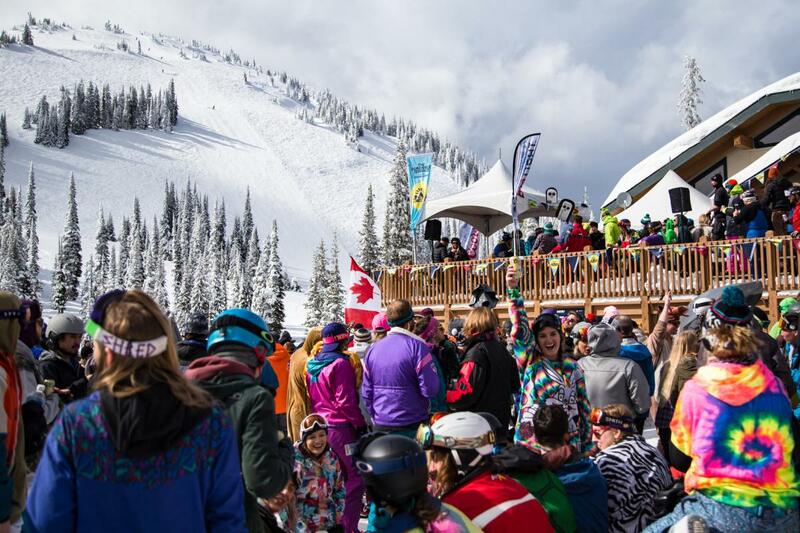 If you’re booking for you and 15 friends, apply for the Snow Bombing Ambassador program to find out how you can attend the event for free. 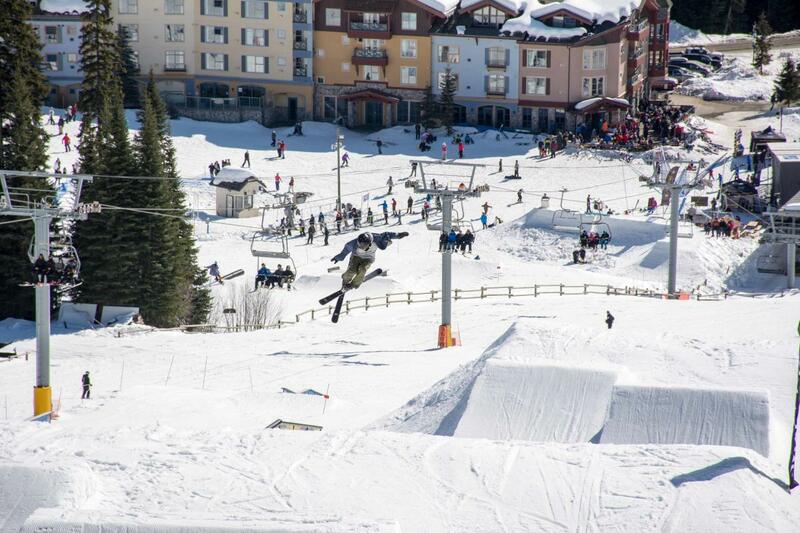 Sun Peaks Resort is only a 45-minute drive from Kamloops. Sun Star shuttles provides pickup and drop off service for those staying overnight in Kamloops. A complete schedule can be found here. Prices for a one-way trip are $25 per person or $45 per person for a round trip.